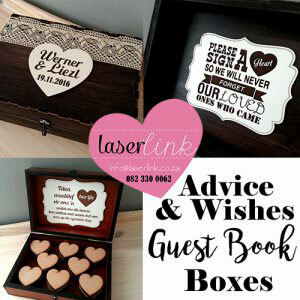 Each guest to write a small message on a heart on the day of your wedding. 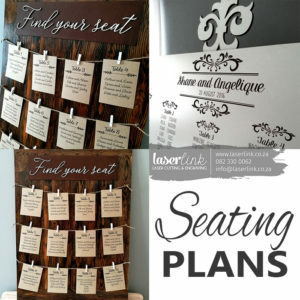 Optional: Perspex sheet to slide in & out. 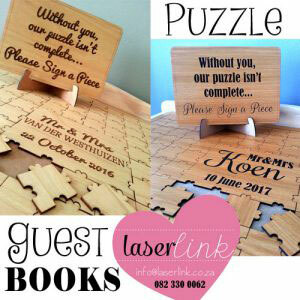 Optional: An easel to make the board stand upright. 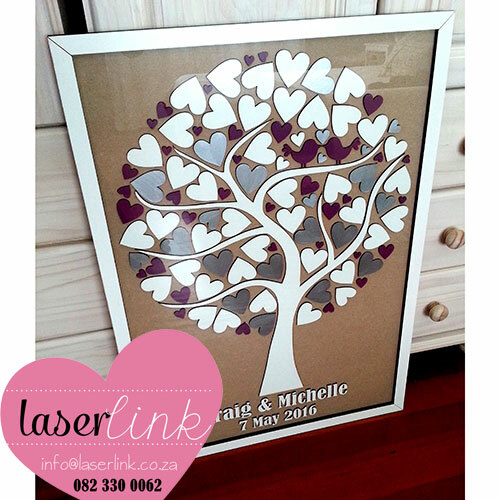 Colours & hearts are customized. 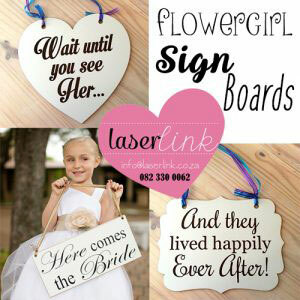 Courier delivery available Country Wide!!! 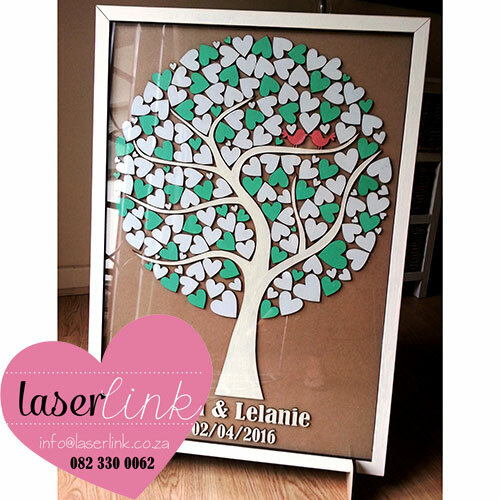 PLEASE VIEW OUR GALLERY BELOW FOR MORE PHOTOS! 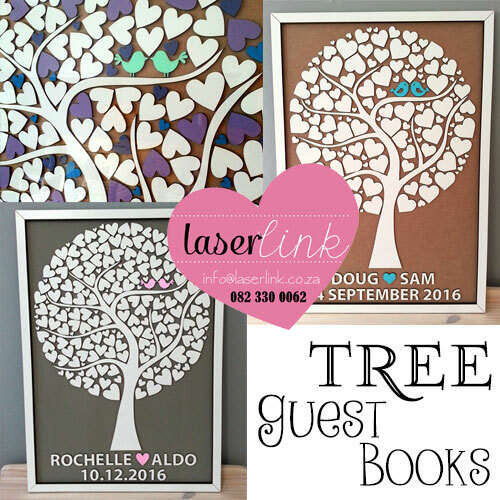 Tree wedding guest book. 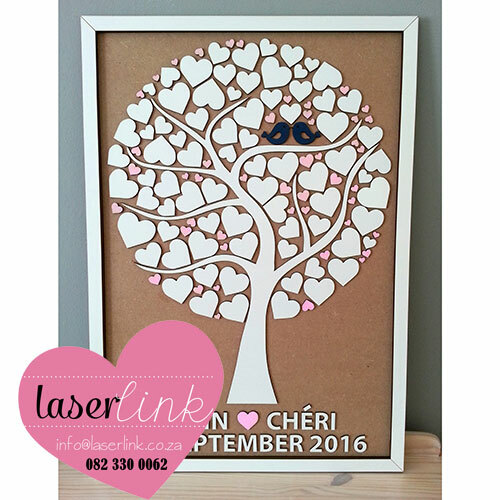 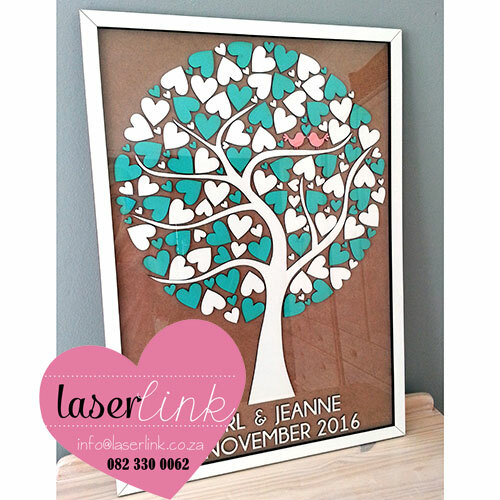 This beautiful laser cut tree wedding guest books are made up of many hearts in the shape of a tree. 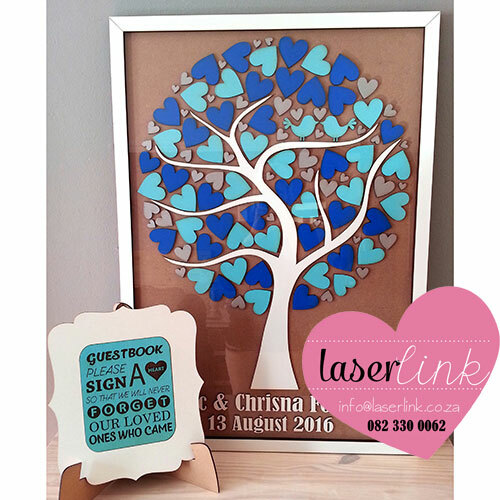 The hearts are customized the amount of guests at your wedding so that each guest will have their own heart to sign. 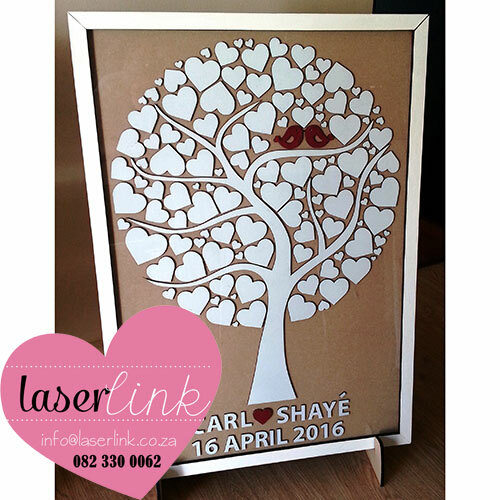 It makes a beautiful remembrance piece of your very special wedding day. 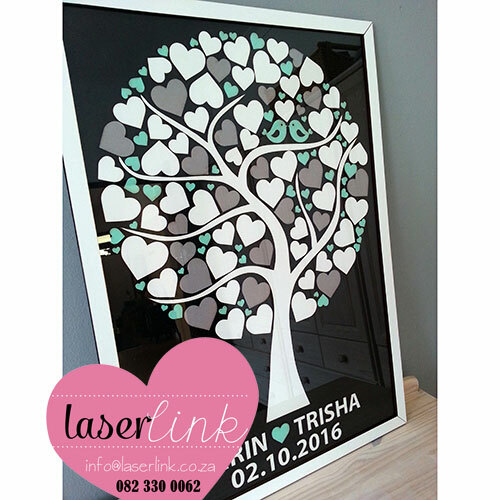 The tree can also be painted in colours to suit the theme of your wedding day! 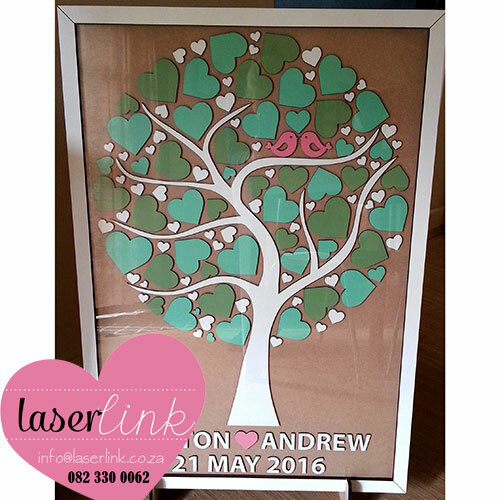 We can include a perspex?sheet that slides in and out of the frame to protect your tree once it is hung up or put on display in your home. 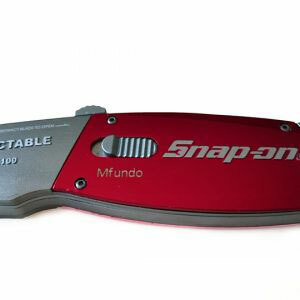 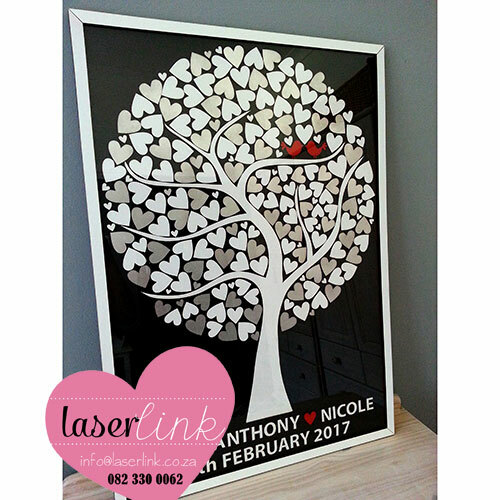 It can also be sold without the perspex?sheet if it is not necessary. 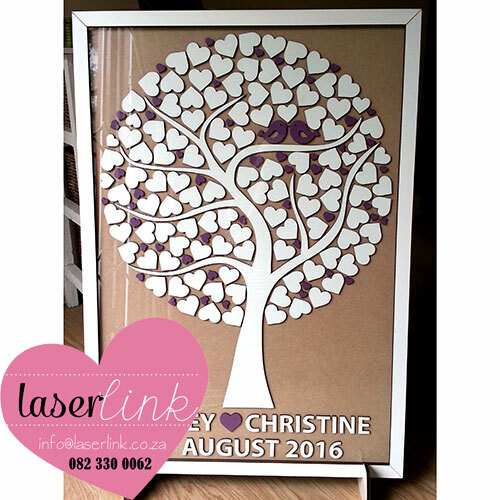 The total size of the board is usually 580mm x 820mm. 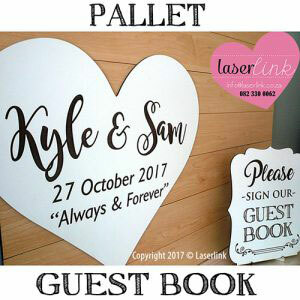 The bottom of the guest board includes the couple’s names and date of their wedding. 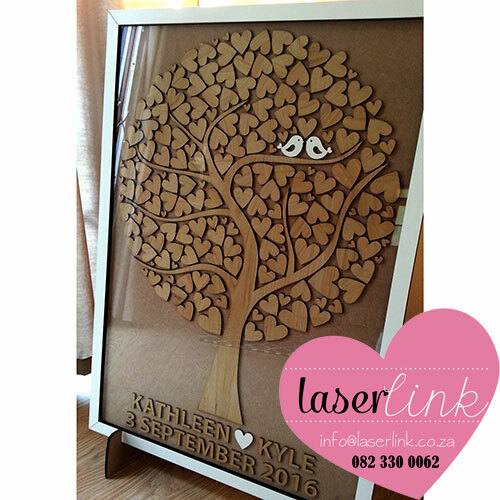 Our tree guest boards also include an easel to make it stand upright on the day of your wedding. 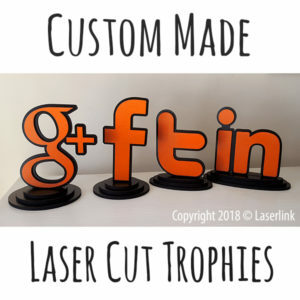 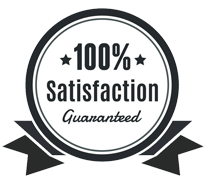 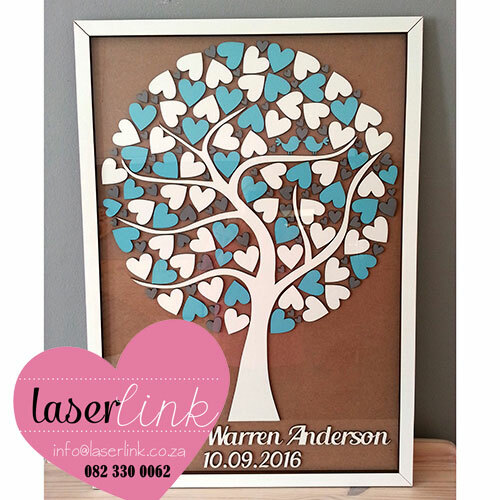 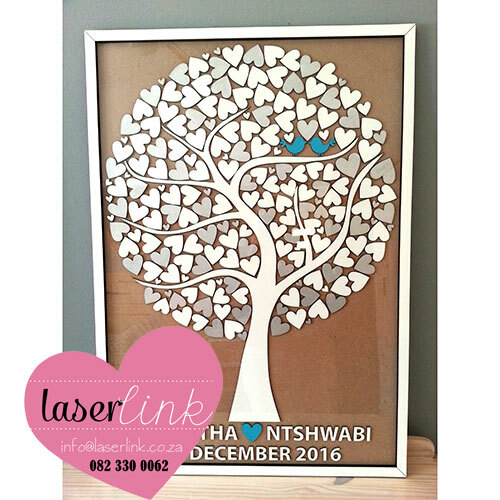 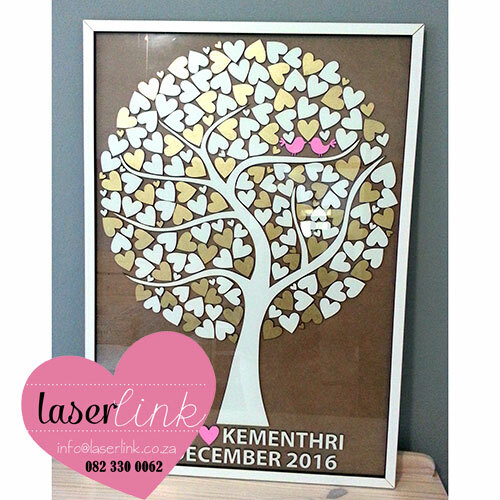 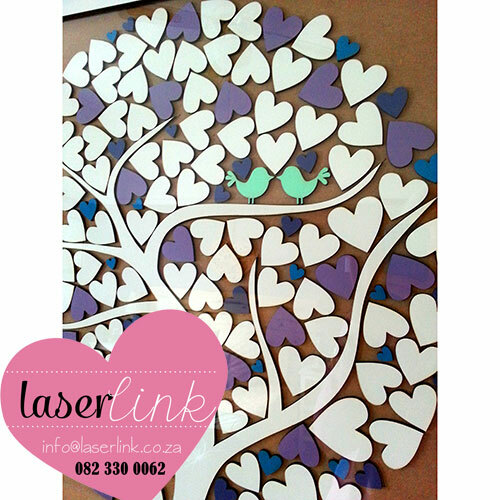 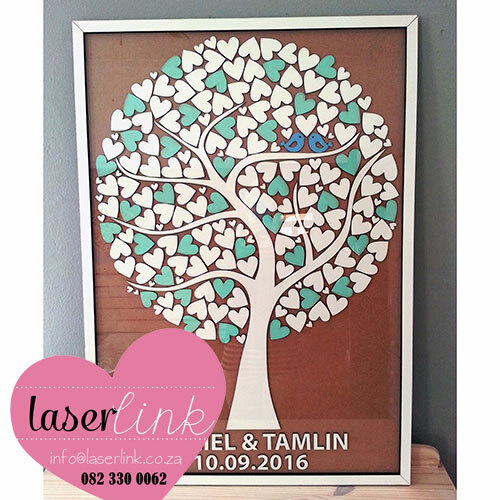 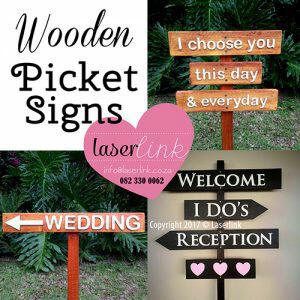 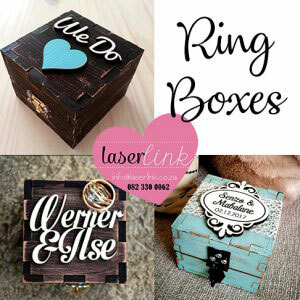 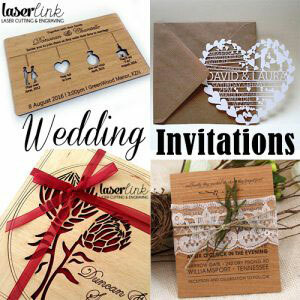 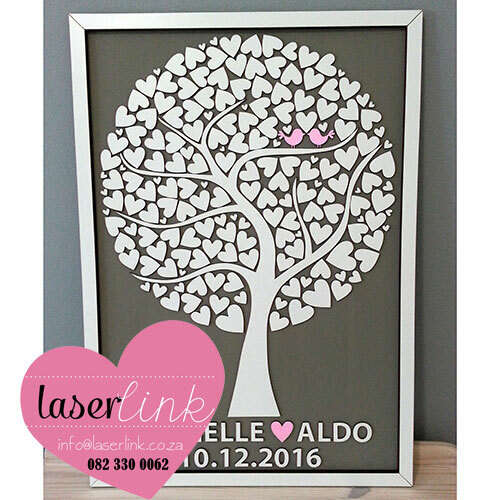 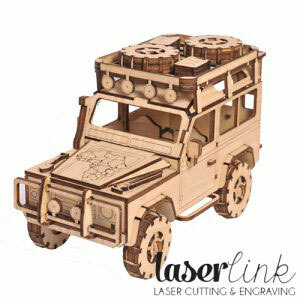 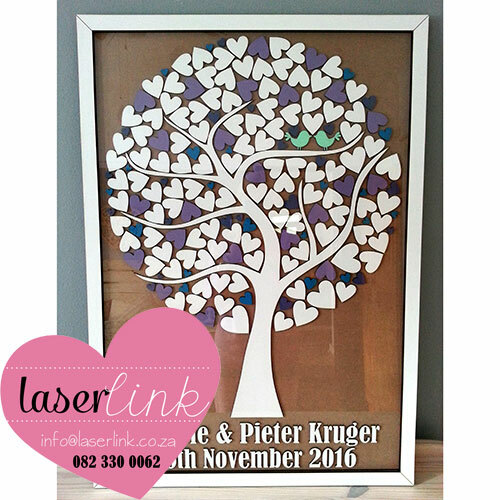 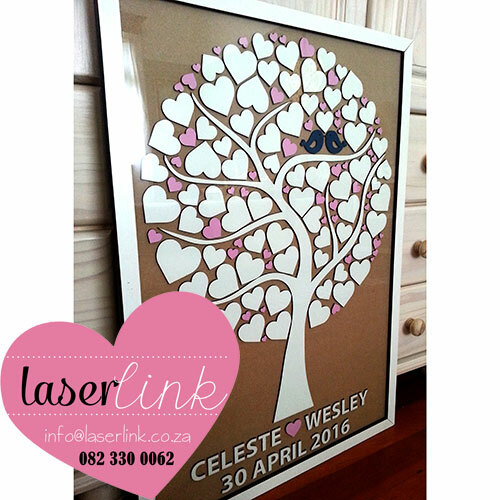 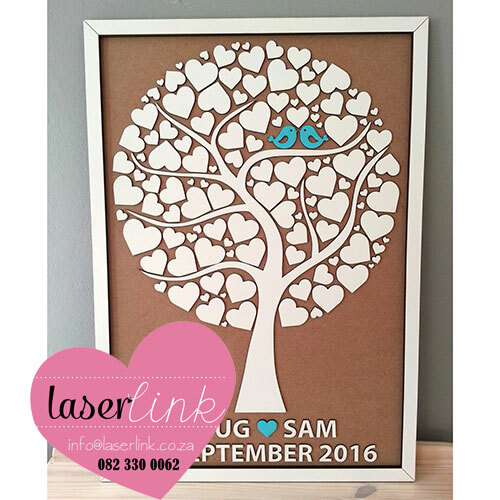 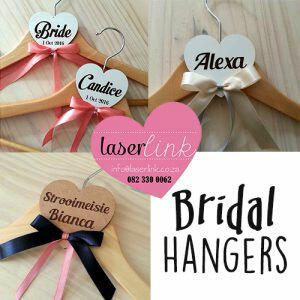 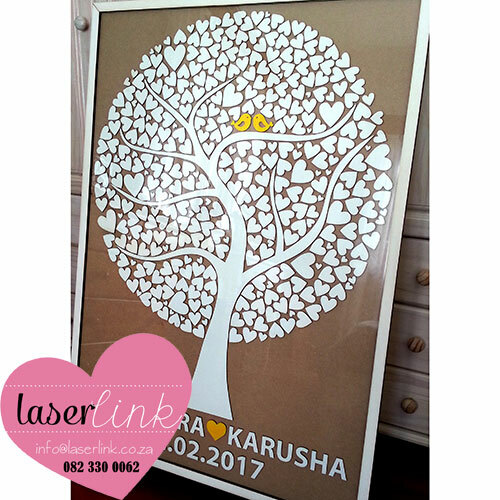 If you would like a quote, please tell us how many hearts you require and send an email to info@laserlink.co.za.